A new plastics and rubber craze is about to sweep across China in 2015’s Spring! 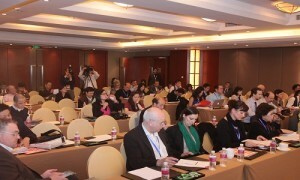 Following the great success of CHINAPLAS 2014 in Shanghai last April, CHINAPLAS will make its grand return to Guangzhou, PR China on 20-23 May, 2015, under the theme of “Greenovation – Solution to Sustainability”. To facilitate the communications between exhibitors and media, Adsale Exhibition Services Ltd. (Adsale), the exhibition organizer, will hold the Media Day in the run up to the exhibition, in an attempt to create an efficient and professional communication platform that puts together leading exhibitors for media to gain access to exhibitors’ key information about their developments, new products and technologies at one place. In recent years, with the exhibition growing in size, exhibitors are facing tough challenges to draw media attention among large number of exhibitors during the exhibition period. How they can stand out from the crowds and convey their company message across in the most cost-effective way have been their big challenges. Likewise, how media can cut through hips of corporate information to find out the most industry and readers’ interested stories in an efficient and timely manner will be their priority. Staging the Media Day meets exactly both needs. 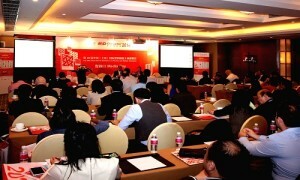 From 2013, Media Day has become an integral part of each year’s CHINAPLAS and has since built its reputation across exhibitors and the media with respect to its well organization and communication effectiveness. CHINAPLAS 2015 Media Day will be held from 18-19 May, 2015, two days prior to CHINAPLAS 2015 exhibition, to deliver an intensive, yet industry focused and information-rich program to media in the form of press conferences. Adsale will also hold its official press conference in the event to give the details about the special events, new services and highlights of the show. In the Media Day of CHINAPLAS 2014, it was well attended by ten leading companies from local and abroad and some 50 leading media from chemicals, plastics, material, automobile, electronics, packaging, construction and new energy, of which 14 media were from overseas such as Belgium, Germany, Japan, US, UK, Russia, etc. By leveraging this unique platform, companies were able to connect with their target customers in a wider market and draw attention and recognition from around the world. In the meantime, media also benefited hugely from having a chance to meet with the companies’ executive teams face-to-face and grasp the firsthand information, resulting in over 1,000 pieces of high quality media coverage being generated through this event. In the coming CHINAPLAS 2015 Media Day, over 40 leading media representatives will come to attend this one and a half day event to discover the hottest topics and newest developments in the plastics and rubber industries. Scott PR is once again appointed by Adsale as the official PR partner of CHINAPLAS 2015 Media Day to provide an integrated service including media invitation, media reception, event press kits preparation, on-site support, post follow-up and media coverage reports monitoring. Currently the world’s no. 2 and Asia’s no. 1 plastics and rubber show, CHINAPLAS 2015, will be held on 20-23 May, 2015 at China Import & Export Fair Complex, Pazhou, Guangzhou, PR China. Over 3,100 companies from over 39 countries and regions will gather to showcase an array of chemicals and raw materials and top-notch plastics and rubber processing machinery, as well as green and automation solutions.